Solid-state electrolytes such as lithium ion conducting ceramic or solid polymers have been studied as substitutes for liquid electrolytes, but critical problems exist at the interfacial resistance between the solid electrode and the solid electrolyte. In this study, we combined 80 wt % Li1.3Ti1.7Al0.3(PO4)3 (LTAP) as a lithium ion conducting ceramic with 10 wt % of poly(vinylidene fluoride) (PVdF) as a binder, and 10 wt % 1 M LiPF6 in ethyl carbonate/dimethyl carbonate (EC/DMC) to develop a new composite electrolyte. The ceramic-based composite electrolyte showed thermal stability and high ionic conductivity through reduction of the interface resistance. The lithium ion conductivity of the composite electrolyte was 8.9×10−4 S cm−1 at room temperature without leakage. Electrochemical tests of the Li1+xMn2O4–LTAP-based composite electrolyte–Li1−xMn2O4 cell showed that the composite could be utilized as a potential electrolyte for high-safety lithium-ion batteries. The first rechargeable aqueous Na–air battery has been fabricated, and its electrochemical properties and reversibility are reported herein. The charge–discharge properties of the battery were tested using both Vulcan XC72R- and Pt/C-coated carbon paper as the air electrode. Pt/C-coated carbon paper exhibited a voltage efficiency of 84.3%, whereas, for Vulcan XC72R-coated carbon paper and uncoated carbon paper, the observed efficiencies were 78.0% and 72.4%, respectively. Use of Pt/C-coated carbon paper led to a high and stable discharging voltage of 2.85 V. The reported rechargeable aqueous Na–air battery is a potential candidate for high energy density batteries in the future. Development of Na-ion battery electrolyte with high-performance electrochemical properties and high safety is still challenging to achieve. In this study, we report on a NASICON (Na3Zr2Si2PO12)-based composite hybrid solid electrolyte (HSE) designed for use in a high safety solid-state sodium battery for the first time. The composite HSE design yields the required solid-state electrolyte properties for this application, including high ionic conductivity, a wide electrochemical window, and high thermal stability. 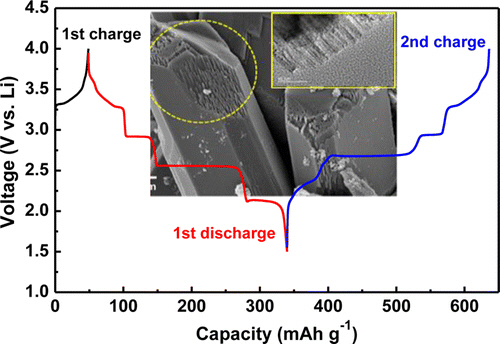 The solid-state batteries of half-cell type exhibit an initial discharge capacity of 330 and 131 mA h g−1 for a hard carbon anode and a NaFePO4 cathode at a 0.2C-rate of room temperature, respectively. Moreover, a pouch-type flexible solid-state full-cell comprising hard carbon/HSE/NaFePO4 exhibits a highly reversible electrochemical reaction, high specific capacity, and a good, stable cycle life with high flexibility. An aqueous Na-ion based hybrid capacitor has been successfully developed by using highly porous graphitic carbon (HPGC) derived from waste writing paper and a new electrode material as a negative and positive electrode, respectively. HPGC was prepared via hydrothermal carbonization and subsequent KOH activation of waste writing paper which showed a highly porous stacked sheet-like morphology with an exceptionally high BET specific surface area (1254 m2 g−1). HPGC exhibited typical electrical double layer capacitor (EDLC) behavior with a high specific capacitance of 384 F g−1 and good negative working potential (−1.0 V) in an aqueous electrolyte. On the other hand, Ni2P2O7 was synthesized by a simple co-precipitation technique and tested as a cathode material which delivered a maximum specific capacitance of 1893 F g−1 at 2 A g−1 current density. The fabricated HPGC‖Ni2P2O7 hybrid device displayed excellent cyclic stability up to 2000 cycles and delivered a maximum energy density of 65 W h kg−1 at 800 W kg−1 power density in a Na-ion based aqueous electrolyte. In face of growing pressure on resources and the environmental crisis, developing renewable energy and energy conservation are considered to be essential technical issues.1 Therefore, energy-storage technology is more critical today than ever before. As the new type of removable energy-storage device, lithium-ion batteries (LIBs) are expected to be widely used in devise applications, such as stationary energy storage, smart grid, electric transportation. We report mesoporous composite materials (m-GeO2, m-GeO2/C, and m-Ge-GeO2/C) with large pore size which are synthesized by a simple block copolymer directed self-assembly. 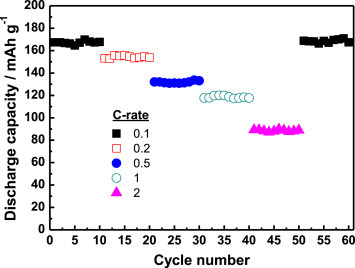 m-Ge/GeO2/C shows greatly enhanced Coulombic efficiency, high reversible capacity (1631 mA h g–1), and stable cycle life compared with the other mesoporous and bulk GeO2 electrodes. m-Ge/GeO2/C exhibits one of the highest areal capacities (1.65 mA h cm–2) among previously reported Ge- and GeO2-based anodes. The superior electrochemical performance in m-Ge/GeO2/C arises from the highly improved kinetics of conversion reaction due to the synergistic effects of the mesoporous structures and the conductive carbon and metallic Ge. we prepared the LixV2O5 from electrochemical ion exchange of β-Na0.33V2O5, which is obtained by chemical conversion of NaVS2 in air at high temperatures. Crystal structure and particle morphology of β-Na0.33V2O5 are characterized by using X-ray diffraction, scanning electron microscopy, and transmission electron microscopy techniques. Energy-dispersive X-ray spectroscopy and X-ray photoelectron spectroscopy, in combination with electrochemical data, suggest that Na ions are extracted from β-Na0.33V2O5 without irreversible structural collapse and replaced with Li ions during the following intercalation (i.e., charging) process. The thus obtained LixV2O5 delivers a high discharge capacity of 295 mAh g–1, which corresponds to x = 2, with crystal structural stability in the voltage range of 1.5–4.0 V versus. Li, as evidenced by its good cycling performance and high Coulombic efficiency (under 0.1 mA cm–2) at room temperature. Furthermore, the ion-exchanged LixV2O5 from β-Na0.33V2O5 shows stable electrochemical behavior without structural collapse, even at a case of deep discharge to 1.5 V versus Li. Herein, we explore the electrochemical mechanism of a novel rechargeable seawater battery system that uses seawater as the cathode material. Sodium is harvested from seawater while charging the battery, and the harvested sodium is discharged with oxygen dissolved in the seawater, functioning as oxidants to produce electricity. 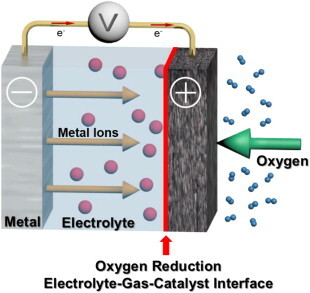 The seawater provides both anode (Na metal) and cathode (O2) materials for the proposed battery. Based on the discharge voltage (∼2.9 V) with participation of O2 and the charge voltage (∼4.1 V) with Cl2 evolution during the first cycle, a voltage efficiency of about 73 % is obtained. If the seawater battery is constructed using hard carbon as the anode and a Na super ion conductor as the solid electrolyte, a strong cycle performance of 84 % is observed after 40 cycles. Herein, we developed a high-performance lithium ion conducting hybrid solid electrolyte, consisted of LiTFSI salt, Py14TFSI ionic liquid, and TiO2 nanoparticles. The hybrid solid electrolyte prepared by a facile method had high room temperature ionic conductivity, excellent thermal stability and low interface resistance with good contact. In addition, the lithium transference number was highly increased by the scavenger effect of TiO2 nanoparticles. With the hybrid solid electrolyte, the pouch-type solid-state battery exhibited high initial discharge capacity of 150 mA h g−1 at room temperature, and even at 1 C, the reversible capacity was as high as 106 mA h g−1. Jaephil Cho, Sookyung Jeong, & Youngsik Kim. Developing green energy solutions has become crucial to society. However, to develop a clean and renewable energy system, significant developments must be made, not only in energy conversion technologies (such as solar panels and wind turbines) but also regarding the feasibility and capabilities of stationary electrical energy storage (EES) systems. Many types of EES systems have been considered such as pumped hydroelectric storage (PHS), compressed air energy storage (CAES), flywheels, and electrochemical storage. Among them, electrochemical storage such as battery has the advantage of being more efficient compared to other candidates, because it is more suitable in terms of the scalability, efficiency, lifetime, discharge time, and weight and/or mobility of the system. Currently, rechargeable lithium ion batteries (LIBs) are the most successful portable electricity storage devices, but their use is limited to small electronic equipment. Using LIBs to store large amounts of electrical energy in stationary applications is limited, not only by performance but also by cost. Thus, a viable battery technology that can store large amounts of electrical energy in stationary applications is needed. 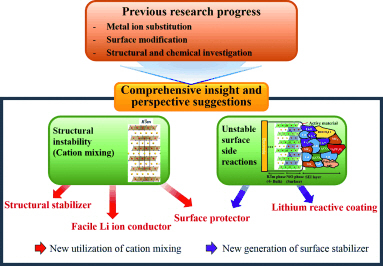 In this review, well-developed and recent progress on the chemistry and design of batteries, as well as their effects on the electrochemical performance, is summarized and compared. In addition, the challenges that are yet to be solved and the possibilities for further improvements are explored. Zhaohui Ma, Chunwen Sun, Yingchun Lyu, Yuesheng Wang, Youngsik Kim, & Liquan Chen. Na3[Ti2P2O10F] was synthesized by a hydrothermal method. It has an open framework structure consisting of TiFO5 octahedra and PO4 tetrahedra. The feasibility of Na3[Ti2P2O10F] as an anode material for lithium-ion batteries was first studied. Na3[Ti2P2O10F] exhibits a reversible capacity of more than 200 mAh g–1 at a discharge/charge current rate of 20 mA g–1 (∼0.1 C) and 105 mA g–1 at a discharge/charge current rate of 400 mA g–1 (∼2 C) with a lower intercalation voltage. The result of in situ X-ray diffraction test shows the structural evolution during the first discharge/charge cycle. 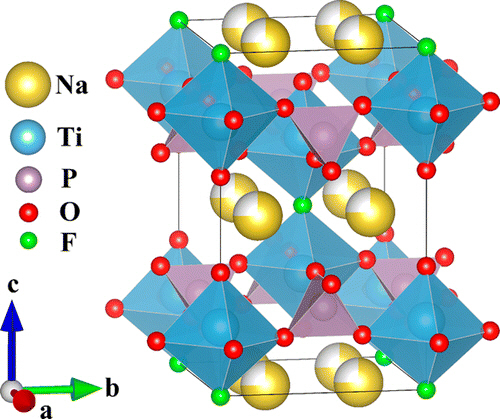 The structure of Na3[Ti2P2O10F] was kept during discharge/charge with a slight change of the lattice parameters, which indicates a lithium solid solution behavior. Porous LiMn0.6Fe0.4PO4 (LMFP) is synthesized by a modified sol–gel process. Highly conductive LMFP due to uniform dispersion of carbon throughout LMFP particles are achieved by the addition of sucrose as an additional carbon source. The LMFP obtained has a high specific surface area with a uniform, porous, and web-like nano-sized carbon layer on the surface. The initial discharge capacity and energy density of the LMFP cathode is 152 mAh g−1 and 570 Wh kg−1, respectively, at 0.1C current rate. The combined effect of high porosity and high electrical conductivity lead to fast lithium ion diffusion and enhance initial capacity compared to materials prepared by the general sol–gel method. However, with conventional electrolyte (1M LiPF6 in EC/DMC) poor cycle performance is observed due to HF attack. To improve the cycle stability we add tris (trimethylsily) phosphite (TMSP) as an additive in the electrolyte which dramatically improves cycle stability and rate-capability.